Did you know that up to 80% of the data on the Internet is unstructured? All tweets, newspaper articles and any text-heavy information traveling on the network presents an unstructured form, not easily understandable for computers. A mere 20% of all web data is structured and, with only this, not much can be done for data analysis relying on machine learning. Unstructured data is all the information that is not organized in a pre-defined manner or following a pre-defined model as, for instance, emails, social media logs, blog entries or PDF files. 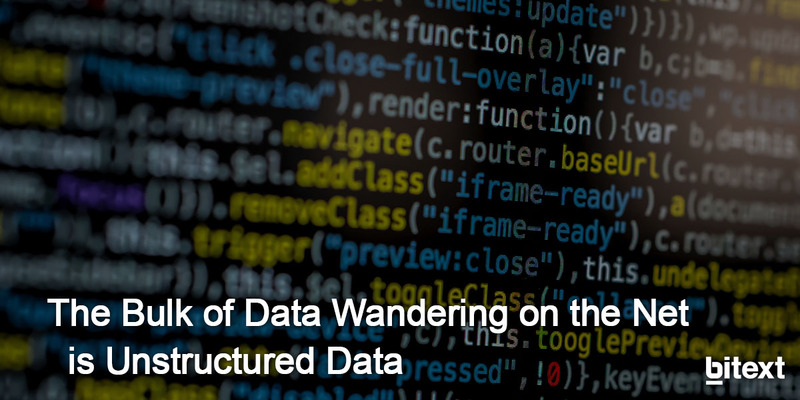 Structured data, on the contrary, is data which has been organized into a database, so that its components are easily accessible for computers to process and analyze tasks more efficiently. To this respect, a data structuring process consists of defining classification parameters according to type (numeric, currency, name) or input (character restrictions, abbreviations). This structured data depends on a model that makes it possible to store, process and easily have access on it. The difficulty comes when the data stored in databases, used to generate many websites, is usually formatted into HTML, which makes it difficult for web navigators to find the information right away. Web crawlers will easily find company basics such as contact data or complex information such products, events and articles on a web page if this data is structured. Moreover, structured data facilitate search engines to track, organize and show content on the web leveraging SEO marketing strategies. Google, for instance, started using structured data to generate its snippets by helping search bots look through web content and therefore, provide users with better results. In 2001, some computer scientists wrote an article about the evolution of the web from that time into a Semantic Web. This perception implied using markup languages like the Web Ontology Language (OWL), specifically designed to structure data that describes entities like people, events, organizations or products. Research is still ongoing since the World Wide Web contains billions of pages with imprecise concepts and logical contradictions. Nowadays, when Machine Learning is all the rage, this lack of structured data is slowing down many AI projects due to the difficulties of automatically processing natural language. Here, Bitext’s technology helps tag all this unstructured data so that it can be processed and accessed by any machine at the blink of an eye. Our NLP Tools, which include services such as lemmatization, entity extraction or sentiment analysis; can transform chunks of text into structured data easy to analyze and access to. Undoubtedly, having a machine-readable website will help search engines find your content easier than ever making, at the same time, your site more attractive to customers. Stop thinking that it is a hard and time-consuming process, it will take you just 2 minutes to take a look at our real-time tools by trying our API. Remember, the sooner the better. Start moving!